Mid Island Air Service, Inc. has a large fleet of aircraft to suit a broad array of training and rental needs. We offer a variety of aircraft to suit any pilot’s needs. Our LSA (Light Sport Aircraft) are available for training and rental for those interested in the Sport Pilot Certificate which requires no FAA medical. In the interest of safety, which is our main concern, we have instituted an . Each year, all pilots must fly with one of our CFI’s. Is there an area you would like to work on to further your flight experience? It can be a lesson, a new aircraft checkout, a Class B tour, a cross-country, a night flight or IPC. Depending on the lesson content, if you also do an hour of ground, it may be able to count as a current BFR. To reduce your rental rates, consider joining our Gold Flying Club (GFC). Our Gold Club (GFC) is designed for the renter who flies often and makes numerous cross-country flights. GFC offers a $14.00* per hour savings as well as a very liberal minimum policy for full and multiple day rentals. *AFC and GFC reductions vary for Light Sport Aircraft. Returning from overseas active duty? The Mid Island Family appreciates your dedication and service in the US military in our current conflict in the Middle East. As a small token of our appreciation for your sacrifice, we are happy to offer a complimentary, one year membership in our Annual Flying Club. Please contact management for details. Home of the Written by our president, Louis Mancuso to keep our pilots safe. As part of the initial checkout, your CFI will help you make the proper limitation choices for your flight experience level. In the interest of safety, which is our main concern, we have instituted an . Each year, all pilots must fly with one of our CFI’s. Is there an area you would like to work on to further your flight experience? It can be a lesson, a new aircraft checkout, a Class B tour, a cross-country, a night flight or IPC. Depending on the lesson content, if you also do an hour of ground, it may be able to count as a current BFR. We also suggest that you complete a prior to every flight that you have any passengers. In addition, to insure that you are ‘up to’ the flight, we suggest that you complete a prior to EVERY flight. All aircraft and fuel rates are subject to change without notice. Rates listed do not include $2.50 per flight hour insurance charge. Included in the insurance charge is liability protection for our students and renters for $100, 000 ($500, 000 on the 172R’s) and zero deductible on the hull. As a pilot, you may wish to check if are there any restrictions on your life insurance policy. 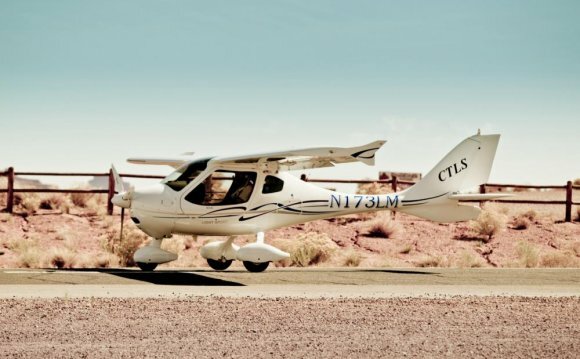 Bushcat light sport aircraft, by Skyreach - updated for 2015.